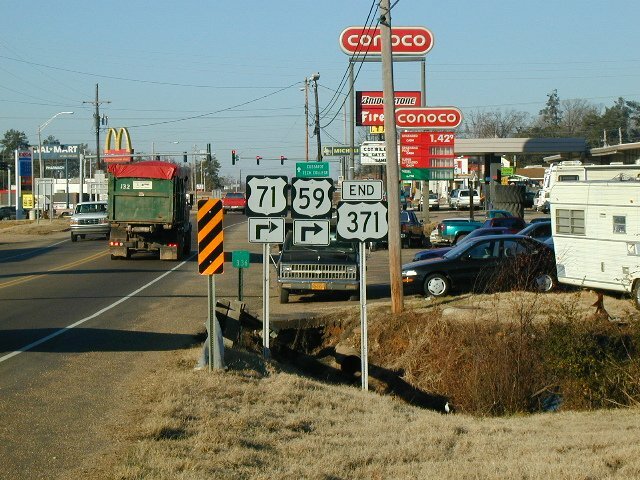 The newest US 371 rendition places it in Louisiana and Arkansas. The route terminates here in De Queen, after multiplexing with US 59/70/71. Photo author unknown.